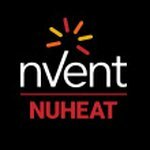 Learn more on how to get started with the nVent Thermal Ecommerce Portal. Business is a race and nVent is committed to helping you win! Have you ever needed to know the status of an order but didn’t have time to hold on the phone? Ever needed to place a last minute order after business hours but didn’t have a catalog handy? Have you ever desperately needed a copy of a lost packing list but didn’t have time to wait for an email or fax? Do you love nVent NUHEAT Custom Mats but would prefer a shorter and easier quote-design-make process? Submit quote requests (or quote updates) via Ecommerce Portal to expedite your sketches and specs directly to the Design Team, giving you a quote confirmation and production-ready drawings in the shortest possible time. Convert quotes to orders with the click of a mouse. Your order goes straight into our production queuing system, reducing the back-and-forth time by hours or even days depending on the situation. Get instant “general quotes” for nVent NUHEAT Custom Mats by entering the square footage and cold lead length prior to measuring. Do you have a standard order that you place regularly? The Ecommerce Portal allows you to create order templates for easy submission (and editing) of standard orders. A simple-to-use interface and intuitive, flexible order pathways mean most users can be up and running as soon as they have a login. For those that would like training, the Customer Care Team can ensure you are comfortable with the system in less than 30 minutes. Remember, our Customer Care Team is always ready to assist you. Getting access to the Ecommerce Portal adds to our service, giving you instant info whenever you need it. We are confident it will change the way you think about doing business with nVent. Try the nVent Ecommerce Portal today! Click here to request a demo or login credentials.